Jazz up your cauliflower rice with these SEVEN delicious cauliflower rice recipes! Perfect for adding more vegetables to your dinner, or if you are following a low carb/keto diet! It can be really easy to get stuck on ‘auto-pilot’ when it comes to side dishes. I know when it comes to cauliflower rice that I can get stuck in the same old ‘plain jane’ routine…and today’s post with SEVEN cauliflower rice recipes is my solution to this! With just a few simple spices, you can totally kick your cauliflower rice up a notch. 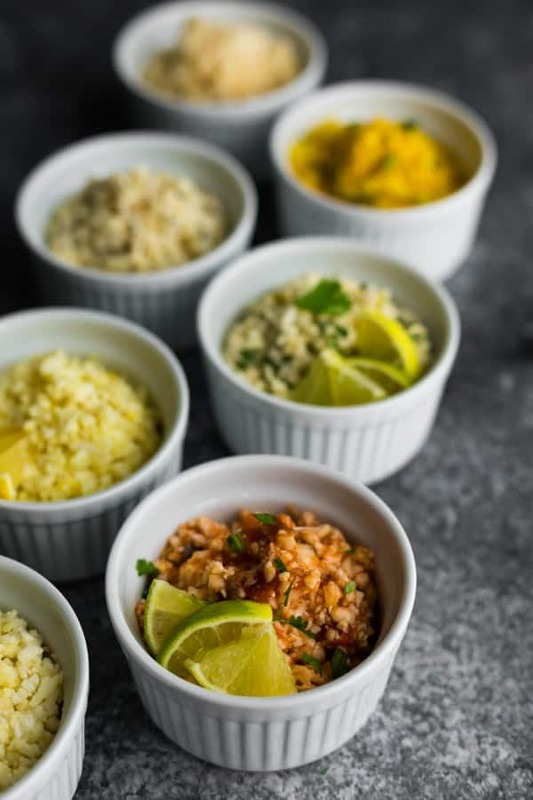 Whether you like things subtle or spicy, there is a cauliflower rice recipe for everyone! psst! looking for regular rice recipes? Check out these 7 Easy Rice Recipes! NOTE- these recipes were tested homemade cauliflower rice. Store-bought cauliflower rice can vary in size and you may need to adjust the cook time accordingly. Heat oil in pan. Add the riced cauliflower and all other ingredients. Sautee 3-5 minutes, or until the cauliflower rice is done to your liking. Stir in any additional ingredients, such as coconut milk for the coconut cauliflower rice, or salsa for the spicy Mexican cauliflower rice. Answering all your cauliflower rice questions below! For more nitty gritty details and video tutorial for making and storing cauliflower rice, see my How To Make Cauliflower Rice Post! 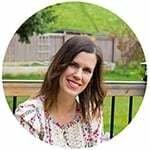 Do I need a food processor to make cauliflower rice? No! You can also use a box grater and make your cauliflower rice by hand. It’s labor intensive but so worth it! You can also buy pre-riced cauliflower in the produce department and frozen food aisle of many grocery stores. 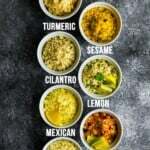 Can I use these cauliflower rice recipes for meal prep? Yes! These cauliflower rice recipes can be refrigerated for up to 4 days after cooking. 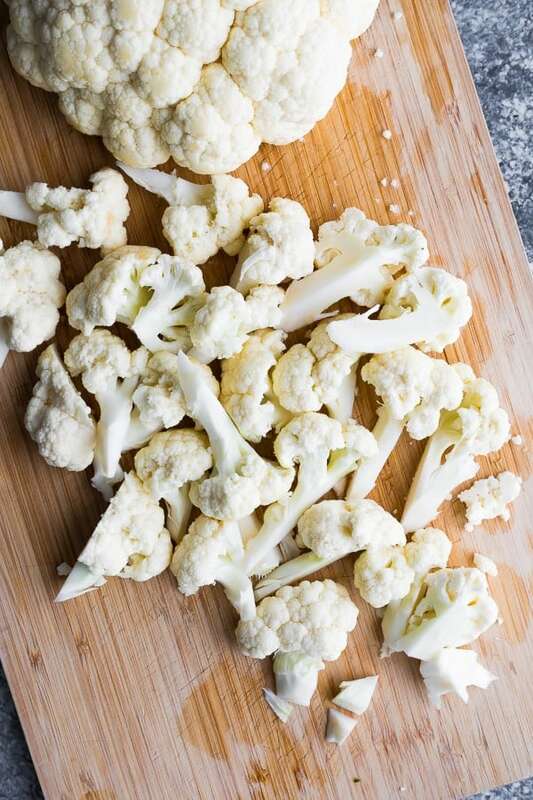 You can also rice the cauliflower ahead of time and keep it in a storage container in the fridge for up to 10 days. Can I freeze cauliflower rice? 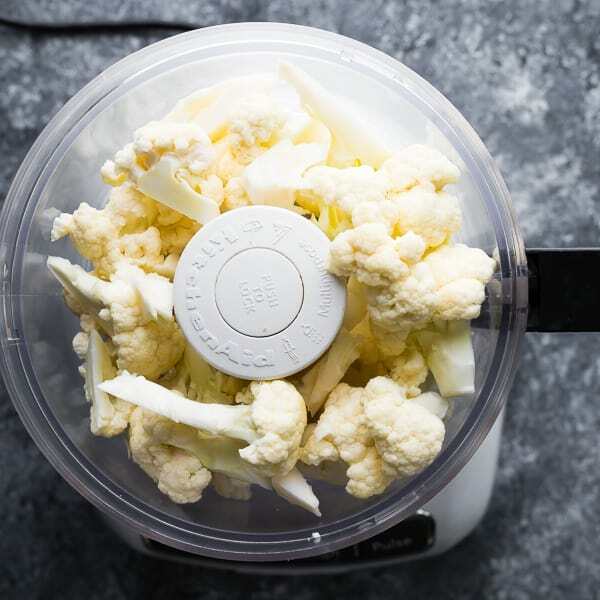 You can freeze cauliflower rice before cooking for sure. I will need to do more testing to determine whether you can freeze these recipes after cooking. I suspect the Mexican and coconut cauliflower rice recipes would end up mushy after freeze/thawing as they have a higher water content. Does cauliflower rice have carbs? Yes. While much lower in carbs than traditional rice, cauliflower rice still does have carbs, and each recipe in this post varies. Check the notes on the recipe card for nutritional information for each recipe. Find the printable coconut cauliflower rice recipe here, or scroll to the bottom of the post! Starting with my favorite cauliflower rice recipe of the whole post! So much coconut flavor, slightly sweet, creamy and just plain delicious. This coconut cauliflower rice recipe pairs well with tropical and Asian flavors. 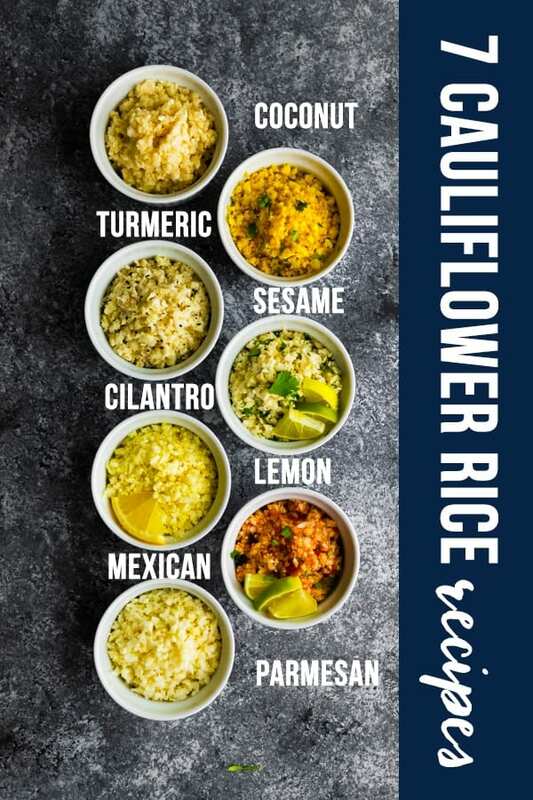 Find the printable turmeric cauliflower rice recipe here or scroll to the bottom of this post! 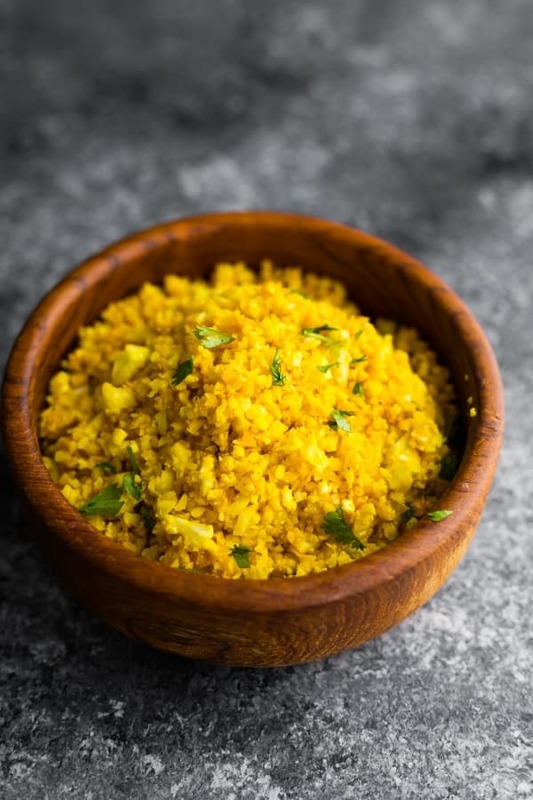 I love the beautiful golden color of this golden cauliflower rice, but it also packs an anti-inflammatory punch with turmeric, ginger, garlic and onion. You can use fresh or powdered spices. 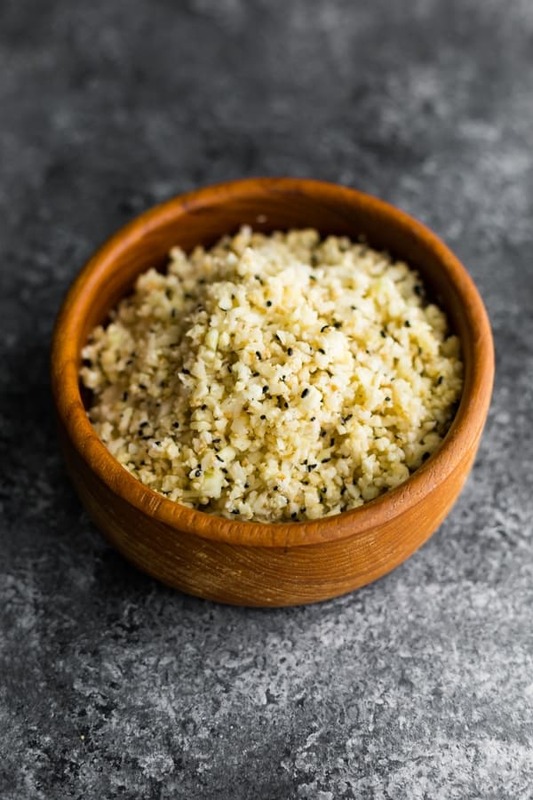 Find the printable sesame ginger cauliflower rice recipe here or scroll to the bottom of this post! 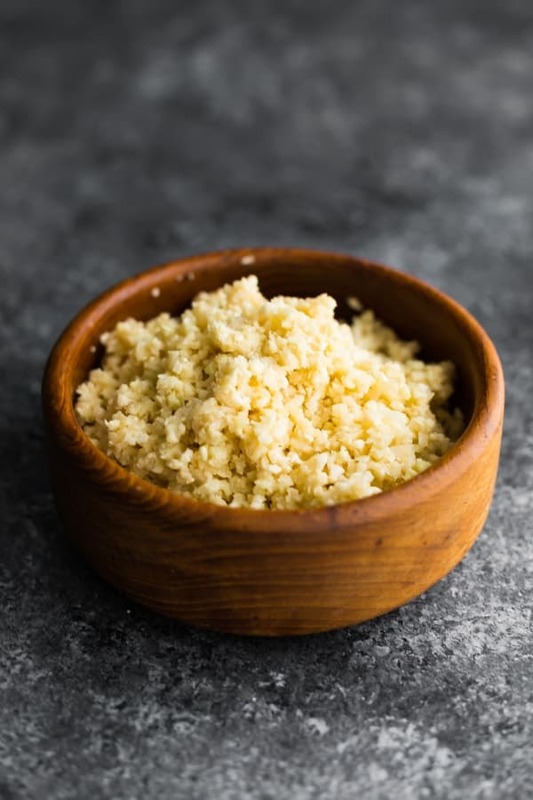 This sesame ginger cauliflower rice is a super simple recipe, and is made with pantry staples (have you seen my Pantry Staples for Meal Prep post?) These flavors are perfect with Asian entrees and sides. 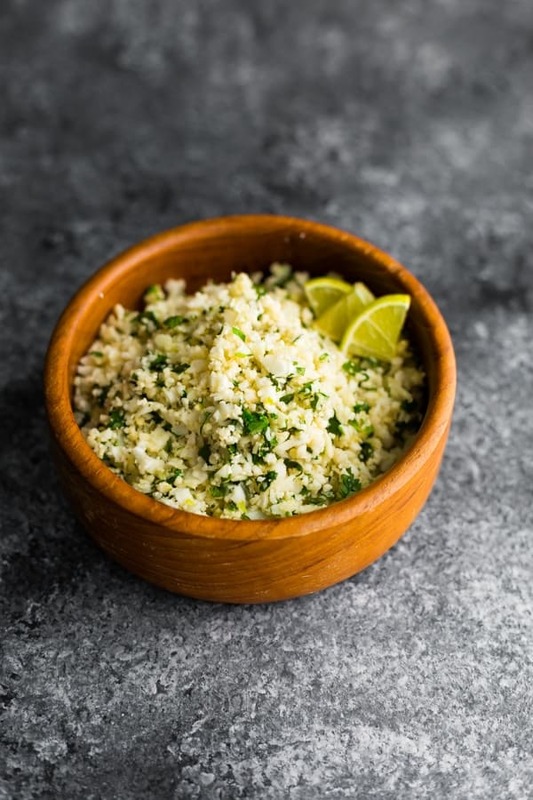 Get the printable cilantro lime cauliflower rice recipe here, or scroll to the bottom of this post! Such a classic, you know I had to include cilantro lime in this post! 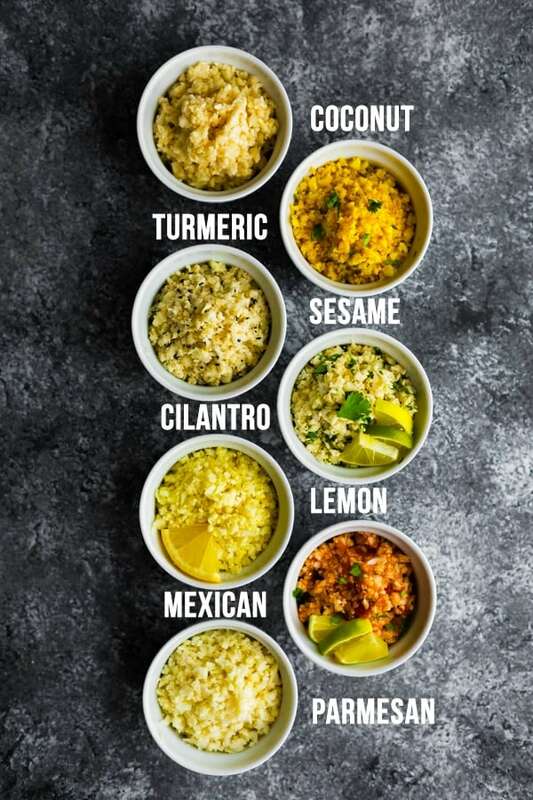 Cilantro lime cauliflower rice pairs so well with a number of flavors including tropical, Mexican and Asian. 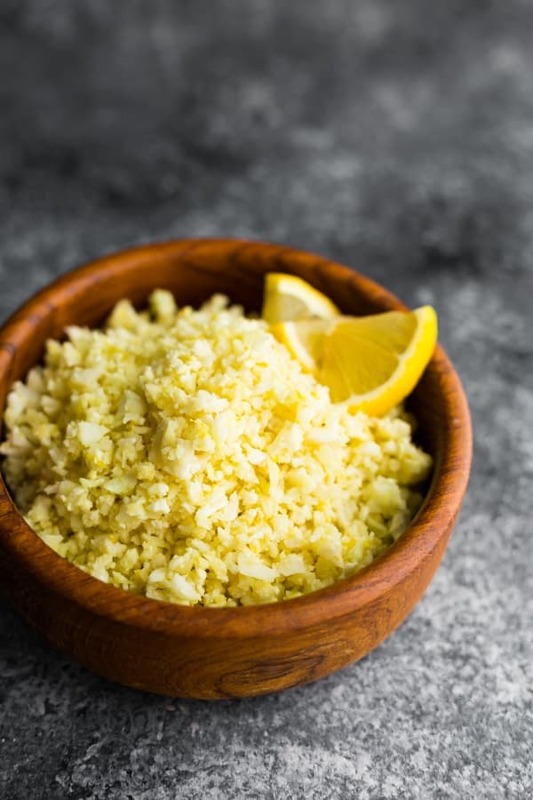 The bright citrussy flavors of this lemon garlic cauliflower rice goes perfectly with Italian and Greek flavors. PS- it’s so simple to make and has just a handful of ingredients! Did I mention this recipe is SPICY? If you want to cut back on the spice, leave out the chipotle chili powder (that stuff is dangerous!). 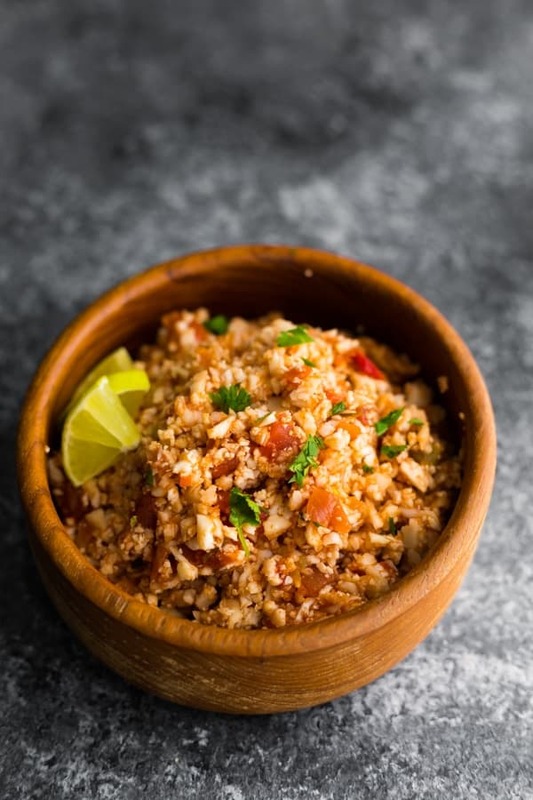 This spicy Mexican cauliflower rice recipe goes so well with southwestern and Mexican flavors! 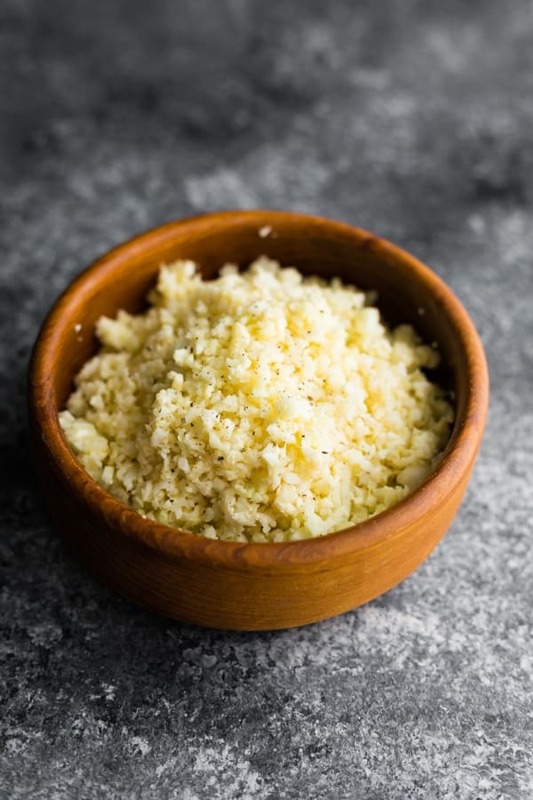 Now this parmesan cauliflower rice recipe doesn’t look like much, but it has so. much. flay-vah! This recipe goes really well with Italian flavors. Add all ingredients not labelled 'after cooking' to the pan and stir to combine. Cook for around 5 minutes, until cauliflower is slightly soft but not mushy. Stir in any ingredients labelled 'after cooking', and enjoy! You can store riced cauliflower (uncooked) for up to 10 days in the fridge, or up to 3 months in the freezer. You can store cooked cauliflower rice in the fridge for up to 4 days.